artst8 – Page 5 – Ready Set Sketch! Jean over at the wonderful food blog, Delightful Repast, is giving away a free copy of my new book. Leave a comment on her site for a chance to win! 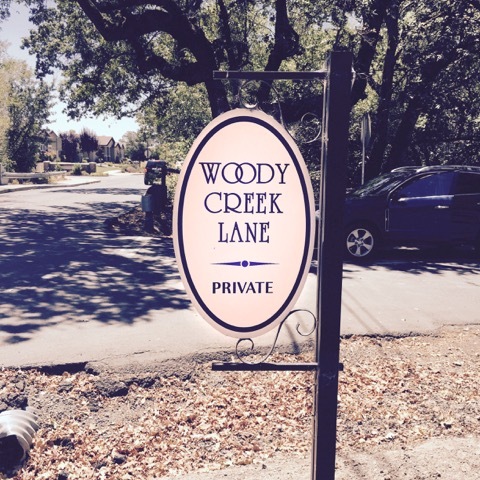 Come join us Saturday November 14 in Cotati for the next “Ready, Set, Sketch” group outing! 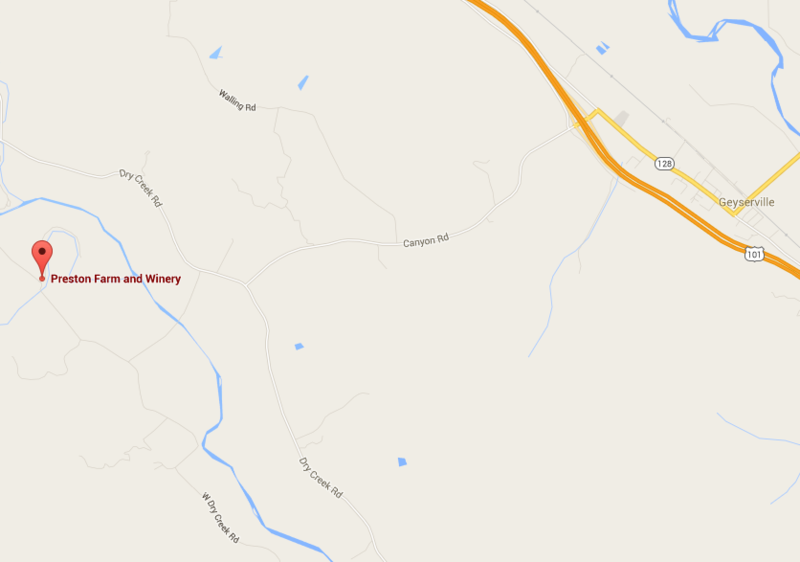 We’ll meet at 10am in front of Cotati Coffee Company, then disperse to sketch around the area. We’ll meet back at 1pm to share our sketches. All you need is something to draw on and something to draw with (it’s also nice to have a chair to sit on!). The event is free. 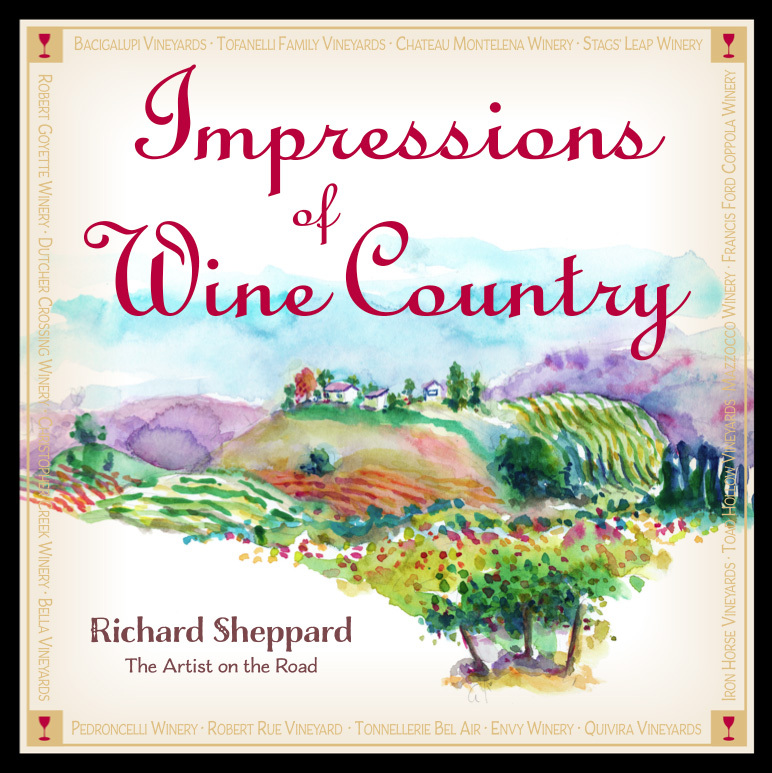 Bonus: I’ll have signed copies of my Brand new book Impressions of Wine Country available for purchase at a discount price! I am proud to announce the publication of my new book, “Impressions of Wine Country”. In this book, I talk with a number of winemakers and grape growers to uncover the artistry of viticulture and viniculture in this unique area of the world. It is both a story of how wine is grown and crafted from the vine to the glass and a picture book containing over 170 of my watercolors (drawn mostly on location and many of you were there!). 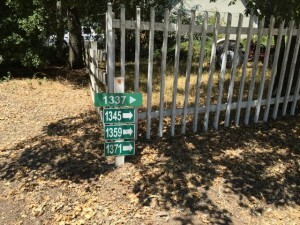 Travel with me as I explore the seasons of the vineyard in Northern California. Ready, Set Sketch: Preston Winery! Come join us Saturday September 12 in Graton for the next “Ready, Set, Sketch!” group outing! 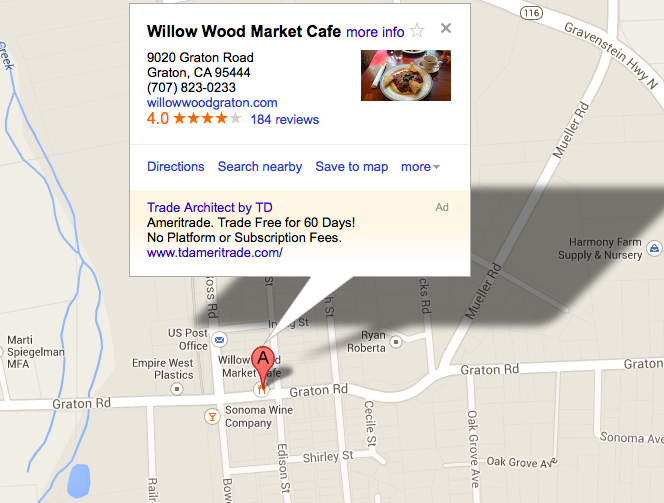 We’ll meet at 10am in front of Willow Wood Market Cafe (http://goo.gl/maps/ZoWxa), then disperse to sketch around the area. We’ll meet back at 1pm to share our sketches. Ready, Set, Sketch: Gordon Martin’s Property (West of Windsor)! We have a special sketching event set up for August! It’s also necessary to move the date from our usual “second Saturday” to third Saturday (August 15 10am-1pm). I don’t like to move our sketch dates around but I know this one will be worth it! First let me say that Gordon Martin owns Sonoma Millworks here in Healdsburg. He manufactures wooden structures of all kinds. 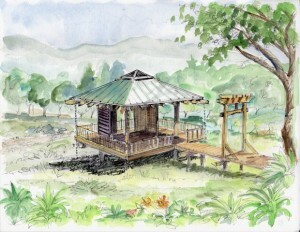 Recently he has designed and built a “Pole Pavilion” in his back yard (see photos and a sketch I did). Gordon is also an art collector and amateur artist himself. Gordon has kindly agreed to let our group sketch on his beautiful property out in West Windsor. He says he will also bring out his sketch book and join us there, I hope, as he is a bit shy about sketching in public, so all of us should encourage him. 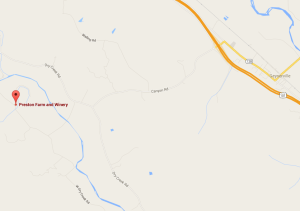 The property is (and I’m guessing) about 5 acres nestled in and around vineyards. 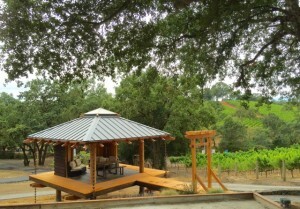 The home and grounds are surrounded by oak studded hills and vineyards. There are horses and corrals to sketch, A nice barn (not old, but great traditional design) He has a drift boat out in front of the barn. The barn itself has been turned into a woodworking shop of the most professional kind. His property melts into the surrounding vineyards and the views are to die for. There are lots of structures to draw like houses, barns, horses, boats, etc., and then there are the amazing vistas and views of vineyards and hills of all manner of shades of green. Please bring a picnic lunch, as I don’t want to intrude too much on Gordon’s good will. There are all sorts of places to have lunch, including the new Pavilion. Lots of shade and benches to sit on and sketch from… but bring a small chair or stool if you want to wander off. We aren’t that far from Windsor Town Green, if folks want to go there for lunch instead (but I would highly recommend the sack lunch). Gordon Martin’s property is at 1371 Woody Creek Lane, Windsor . Highway 101 to Windsor River Road (Central Windsor exit) West on Windsor River Rd. to Star Road turn left on Star Road about half a mile down turn onto a private drive called Woody Creek Lane (before the Burgundy Street stop sign) keep bearing to your right until you see the white fence with the signs that say 1371–> pointing to the right and then go up that road all the way to the end is 1371 turn left to Viewhill Ranch. The gate should be open that day. All along the way…WATCH OUT for the speed bumps… not always clearly marked…! 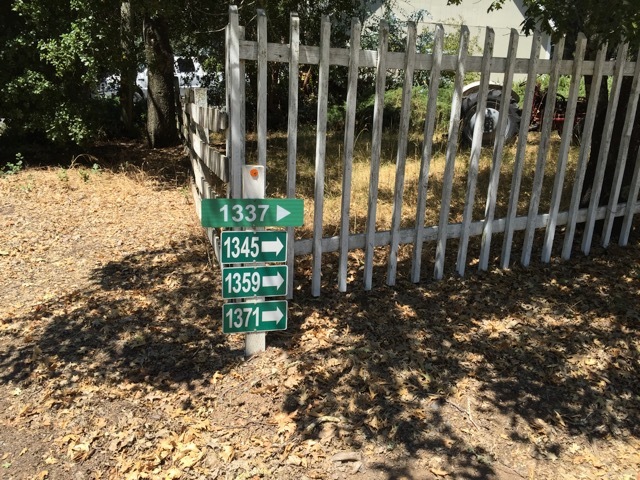 The reason that I’ve written these directions down this way, is because the GPS in not accurate. Please car pool if possible. Parking will be limited! Hope to see you all at this special event! ***Don’t forget the date is AUGUST 15 10am-1pm!!! Come join us SATURDAY July 11, 2015 at 10am-1pm in Healdsburg for the next “Ready, Set, Sketch!” group outing (It also happens to be a World Wide Sketchcrawl day). 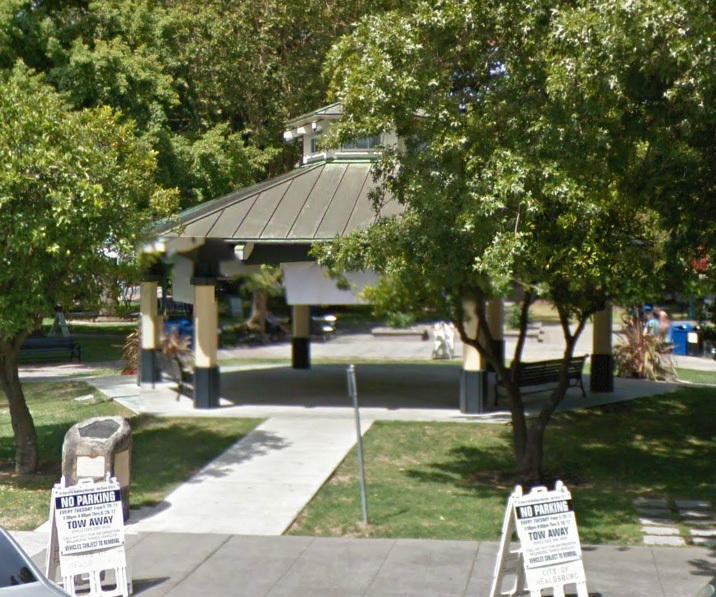 We’ll meet at 10am at the gazebo in the downtown plaza then disperse to sketch around the area. We’ll meet back at 1pm to share our sketches. The town of Healdsburg has an endless supply of sketching opportunities, restaurants, wine tasting rooms, coffee shops, and books stores. All you need is something to draw on and something to draw with (it’s also nice to have a chair to sit on). Parking is free but to avoid a time limit, it’s best to park a couple blocks from the plaza.